After a scoreless first period, the Penguins and Senators opened scoring in Game 7 with back-to-back goals halfway through the second. 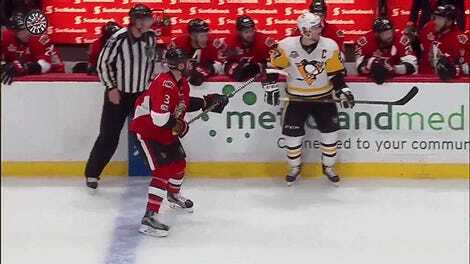 ...and exactly 20 seconds after play started again, Mark Stone answered for the Senators. Certainly the most exciting playoff game available tonight, folks.